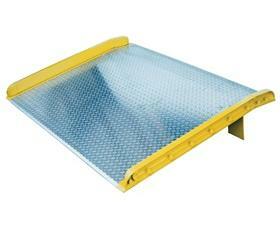 Aluminum Dockboards With Steel Curbs | Indoff, Inc. This dockboard is designed for extra strength and safety. 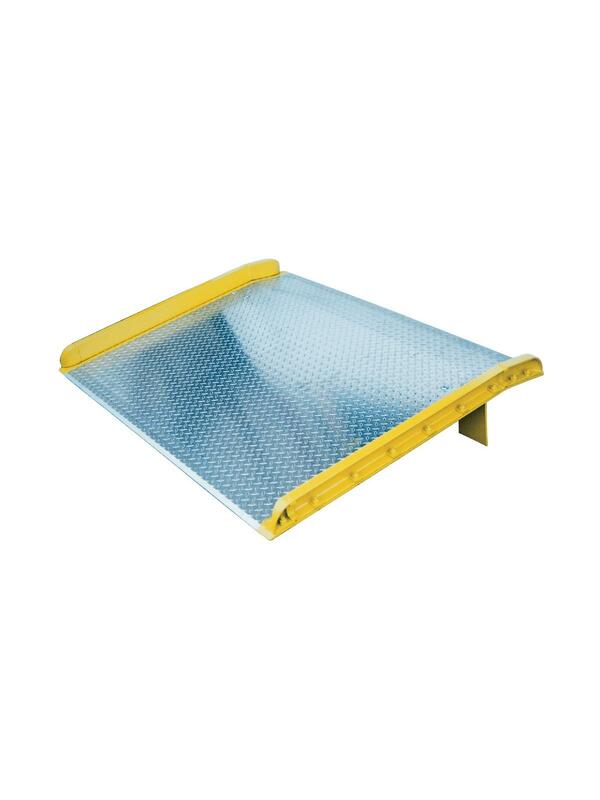 Deck is made of tough aluminum alloy and curbs are structural steel with cast tapered ends. Steel legs are bolted on for increased durability. When using three-wheeled fork trucks order dockboard with capacity at least four-times the lifting capacity of fork truck. Call factory for additional sizes. When using three wheeled fork trucks, select capacity 20% due to concentrated load on center of board. FOB Shipping Point. See Related Items tab for Dockboard Accessories.